Well there is a lot of college football action going on right now but unfortunately Pitt isn’t a part of it due to their bowl ineligibility. The final recruiting push will be heating up in January, but let’s talk about the players currently on the roster for a moment. Which players on the roster, who hasn’t been a major contributor to this point, do you expect to step up and become a significant factor for the Panthers in 2018? Let’s pick one player each on offense and defense. I’ll kick things off. Maybe it’s a no brainer but I’ll pick rsFR Paris Ford on defense. 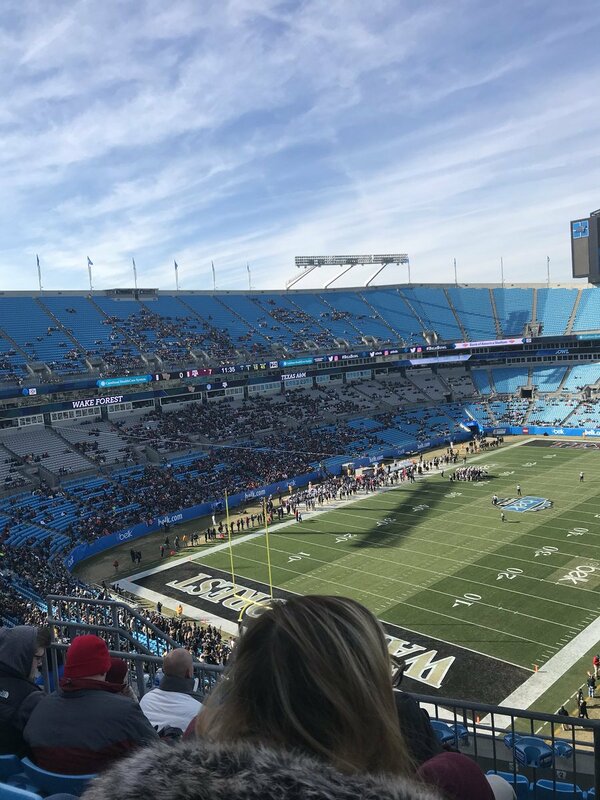 I know he is probably the highest rated Panther recruit still on the roster, but after a delay in getting to participate in practices, he hasn’t made a big splash to this point. Here’s hoping that non-football issues don’t derail his full participation before the season starts, and he can make an impact like Jordan Whitehead’s freshman season. On offense, I expect receiver JR Aaron Mathews to step up this year. Hopefully his development was blocked by having to play behind WRs J. Weah, Dontez Ford, and Q. Henderson and this year he emerges as a late bloomer similar to Jester Weah’s improvement over the past two years. I feel that Mathews has the physical tools and has shown glimpses of excellence, but then disappears for extended periods of time. With the above players gone it should be Mathews’ time to shine. Here are his career stats to date. So, that’s who I have. How about you? Who do you see stepping up big time for the Panthers in 2018? On offense I feel SO QB Kenny Pickett has to ‘step up’ for the team to be successful this season. I know I have been singing his praises since last spring and he showed us part of what he can do in the Miami game but I’m also getting the feeling from reading the blogs and message boards that Pitt fans are expecting stardom right off the bat for him. While that happens sometimes most often a true SO QB with limited exposure to D1 defenses takes some time to hit full stride. What I think we’ll see from Pickett in ’18 is more like what we saw in Peterman’s first season at Pitt – good steady play but not star quality ‘winning games by himself’ type production. Something along the lines of 2750 yards, 20 TDs to 8 INTs would be my guess and while that betters what we had across the board in ’17 (we had a dismal 12 TD passes last year) he’ll still need a lot of help from our running game to score points. On defense I hope one of the linebackers really steps up and shines because we haven’t seen that in a Pitt defense for some time. Right now it looks like we’ll see rsSR Zeise, JR Brightwell and SR Idowu out there as starters when the season gets underway. If Zeise can play a full season at the level he played against VT and Miami then maybe we have found that LB we need. Idowu is a good, solid LB but not a game changer nor is Brightwell. Pine could surprise though. I suspect most fans will pick S Paris Ford as the defender to breakout and I hope he plays up to the hype because we have a big void to fill with Whiteheads departure – but as we haven’t seen him in uniform yet it’s hard for me to project that for him. Great job! Nice to see some guys stepping up to lighten Reed’s load..
On D, I agree it HAS to be Ford. As he’s the only “high-level” recruit on the roster, we need him to PLAY like a 4* and hope everyone else maximizes their talents, as well. On O, I would think we NEED one of the TEs to step up. I think Pickett and Hall may struggle behind a mediocre-at-best line and the WRs might not have time to run anything deep for the same reason. A TE who can block AND catch would help the OL, RBs and QB. Maybe it’s Sear. And since the last thread was closed, let me say I wish I had given the following gifts: Dan72 a good bottle of whiskey, Erie Express a football scholarship for his nephew, MajorMajors a sleeve of Pitt golf balls and a round at Pebble Beach, Upitt a dove hunt in Argentina, ike some Memantine (teasing), and Reed a few gas cards for his trips to the Burgh. Well the Pickett selection on offense is a no brainer for me since stepping up from his very little action in 2017 should be a done deal. I’ve also got another real long shot(Michael Smith at WR) on offense if Narduzzi and Watson look past the experience factor in utilizing players. I think the kid has an extraordinary second level of speed that well may make us forget Weah fairly quickly.—-On defense another long shot because we haven’t seen him at all is Paris Ford. I hate picking stars for stardom but from what others have observed he’s got exceptional talent. Here again we will have to contend with the Narduzzi/Watson hangup of not wanting to play inexperience. All In – Aston has already proven himself as a star player – how about you give us an offensive guy who hasn’t produced yet but you feel could break out? Reed, thanks for adding Aaron Mathews career stats to the article! BB Game Thread will post at 2:00 pm. Anyone want to see video? Good to see POV off to a good start for the new year. My picks : If the O line can open some holes , like to see those high star running backs open up and take some heat off the passing game. We have some talent and speed there and the depth to keep it going. On defense I agree ford needs to step up as loss of Whtehead and Maddox are tough. Pickett will do fine if we can make the O multi dimensional. Thanks Mark and all great picks. Pickett and Ford are the easier ones to go to and I agree with both. On offense, I agree with Jay that the tight ends needs to step up and I think that it may be by committee like the backs were last year. PITT is really solid with this group so I don’t see one stand out but I hope one does. So I looked over the RB’s and thought that this might be the year Ollison regains the coaches confidence and gets ton more opportunities next year? This I doubt, not the confidence thing but the coach likes to keep the backs fresh and they have slightly different styles of running. WR’s? I would pick Lopes but I think he’s already is a contributor from last year. So with Pickett running the show I think there could be more downfield throws this coming year and as much as I don’t like to piggyback off another POVer I have to go with Aaron Matthews on offense. Defense? First off, I understand from someone closer to Ford’s situation then most, that Ford did not have grade issues. Not saying he didn’t have trouble qualifying at first. There’s a difference. Just saying he is not a dummy. Paris is a real good one and maybe better than Whitehead? So I have to pick him. On a completely different note and maybe not the time but I have to say. It’s not a good thing when the POV starts to turn a little ugly. I get that a few of you don’t appreciate my writing or the time I spend here and my opinions. I don’t feel I’m any different than anybody else on the POV, cause I’m not. I have my thoughts and you all have yours. We have to respect that a little more. Sort of like a reboot. That goes for me as well! Most of all, we all need to show Reed lot more respect. Yes I admit that Reed and myself go round and round sometimes and I sure hope you all understand the relation him and I have. I’ll keep my more counter opinions with him off the POV from now on. The good man has put way too much work on this blog to let it slip between our fingers. When Reed is attack on the POV then everyone of us are being attacked. Can’t have that at all! Reed, I’m a long time reader and infrequent poster. Really appreciate your time and writing. Offense add-on: Ricky Town. Kenny P’s game means he’s going take some punishment. So RT plays more than occasionally, and the offense still produces. Offense: Tony Pilato. Pitt needs a left tackle and it’d be nice to see a kid who’s been in the program three years now to mature and step into a crucial position. A Moose recruit. Defense: Therron Coleman. I hyped up Dane Jackson heading into the season and he played well. Now someone needs to fill Maddox’s position on the other side of the field and the coaches seem really high on Coleman. Physically he looks pretty imposing. On offense I’m going to go with a WR and one that isn’t even at Pitt yet. Since we know Pickett can spin the ball pretty well, so it’s going to be the WR’s that need to get open and create space and get some YAC. You might remember I predicted stardom for Little Q before he even stepped on the field, I’m going to again go out on a limb here and predict one of these freshmen, to be, WR’s coming in is going to be an immediate star. Who is going to be paired with Frenchy ? My last memory of Ffrench was him dropping a perfectly thrown pass from Pickett versus Miami. These receivers need to step up in 2018. Pickett’s Charge and the French Connection …..love it! Like most have said…Pickett and Ford…with honourable menton to Hamlin and Hall (full season). Guys that have not played much. I will go with Tipton on offense and Reynolds on defense. The 2016 recruiting class needs to come into play…or Narduzzi won’t see a 6th season. Guys, we need to drop ”Pickett’s Charge” as a motto. It was an unmitigated disaster for the Confederate army. Really, we need something else. I also would like (like Ike) to really stress that ALL of us have the RESPONSIBILITY of respecting each other and always respecting Reed, who has unselfishly given us the POV. We are adults and that means as we comment on the POV Aretha Franklin’s song “R-E-S-P-E-C-T” must be in the back of our minds! Us Povites have a great thing in this blog, let’s keep it strong and respectful for 2018! By the way, for those of you guys who spoke highly of Vancouver. Yeah, great city, bueatiful for sure all year round but especially in the summer, but Pittsburgh really is a great looking town as well. The view coming out of the Fort Tunnel the first time I saw it in 2009 was amazing and I sort of knew it was coming. Like someone else said though. The average home in Vancouver is around 1.8 million CDN. You wont get an empty lot anywhere for less than 1.2 or 1.3 million. Pittsburgh is a great city, and I promote it to many people who have never been there. But it can’t compare to Vancouver. Plus I did not see any ghetto’s or dilapidated sections of Vancouver. In between Oakland and downtown we have a huge one. Commonly referred to as The Hill. Nobody nose Pickett like Reed nose’s Pickett! Here you go Jim Bob since you live in the south.. << I call a relative that who lives in Georgia. Lol, Ike…how about a Picket line reference . …Pickett Strikes ? If you have an itching for a touchdown… then Pickett! lol iek…and yes I do live in North Carolina, on the border of South Carolina as well. And have lived on that side of the River as well. I will say it’s not a player on the roster that needs to step it up. It’s a coaching staff that needs to coach up the roster on both sides of the ball and a head coach who needs to put them in a position to win that needs to step it up. But if you ask me who really needs to rise to the top on offense it has to be Kenny Pickett. There are going to be challenges along the whole offensive side of the ball. I think he may need to carry this team on his back next year and will them to 2 wins to get them to 7-5. (if not I think 5-7 is a likely result). But ultimately, I put this on the Coordinators and Head Coach. As I said earlier 5-7 is unacceptable (although I doubt there is anything that can or should be done at this point). I think someone asked me in previous thread what does unacceptable mean? Ok I thought long and hard about this…what I mean is something personal to me. For the past 30 years I have been playing the role of Sisyphus. I have continued to attempt to roll that rock up the hill only to be foiled again and again. At the time of his hire, I too was excited about the Narduzzi hire. I believed that Chryst had righted the ship after the disasters under Pederson and thought he had the right mindset and attitude to be a difference maker at Pitt. Well what “unacceptable” means to a alum and constant supporter of this program is simple. I will give up on Pitt. Give up means I may look online for the score once in a while but I won’t care enough to waste my time on a University that pays lip service to me and my fellow alums. People can get on me about this stance saying that is why Pitt can’t succeed. But after 30 years of this do you really think sticking around hoping things will change is a productive use of my time? Charlie Brown keeps on convincing himself that Lucy will let him kick the ball. I refuse to be Charlie Brown if they can’t win 7 games in year 4 of a coaches tenure. So no I don’t think they should fire him, I don’t think they will fire him. Accountability to me if that I will give up on Pitt if a coach can’t get a measly 7-5 record next year. Sorry this turned into a rant but I have been watching this train wreck for far too long now. I live in the suburbs of Seattle and today a game is being played by a city university that did it right. University of Washington has a successful sports program, an on campus stadium that was renovated, and is a pretty good educational institute as well. And I am sure they have strong alumni support. I won’t change allegiances because I did not attend any other university but I will stop caring enough to even post. Ranting and raving about the unchangeable is just crazy. And I am tired of feeling like a fool. Not that I think the University of Pittsburgh gives a crap about my allegiance, but think about it for a second…how many of me are out there right now? How many gave up in year 15 of this debacle? Year 20? I look back now and wish that Pitt would have stayed in the AAC (Big East). They weren’t willing to commit the resources necessary to be in a P5 conference. Anyway, thanks for allowing me to go on what I mean by “accountable.” I do not have delusions of grandeur. I just have decided it’s time to stop pushing a rock up a hill and watching it roll back down just to push it up again. The thing is Dave…We would have had to be in the AAC for football. But the BigEast is a better conference for basketball and has most of our old BigEast rivals(Villanova, Georgetown, St. John’s, Marquette, Providence). The AAC for bball has teams like Tulsa, Tulane, UCF, USF, East Carolina, SMU, Houston, etc. That would have been dreadful. Pickett fence the last play to win the championship in Hoosiers. Dane Jackson on D long and lean. ACC was previously known as the Southern League. Our General Pickett is going to cause quite a stir in the old Southern League, the next few years. 40 years ago (12/30/77): Pitt whipped Clemson 34-3 in the Gator Bowl. Matt Cavanaugh was the MVP. Panthers finished 9-2-1. I posted the Press’ game story on my Twitter account, @PGH_Sports_Date. Yea I remember we went down to Jax Beach and there was snow on the beach. We brought some Pittsburgh snow with us to the Gator Bowl that year. Had not Matt broke his hand that year, we might have repeated as National Champs. 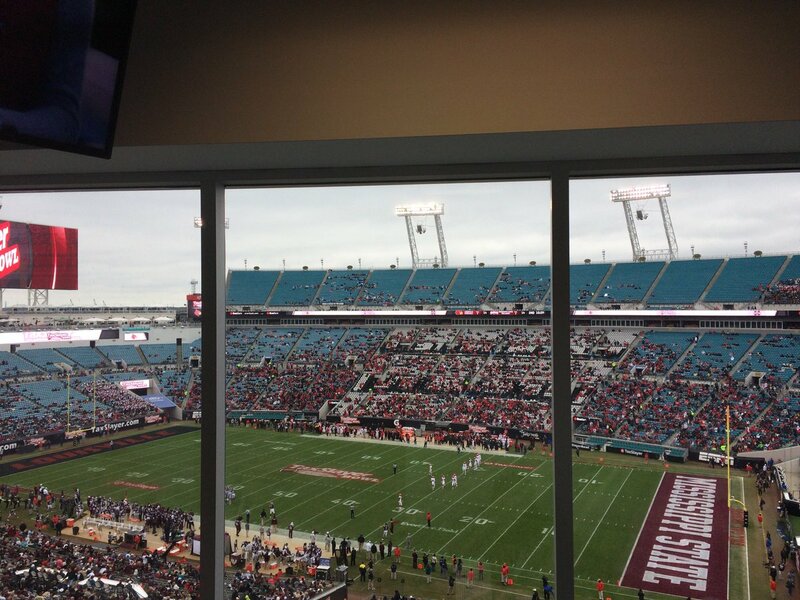 We had a sellout crowd in the Gator Bowl that year. Not so much this year. In the Bowl Glut Era. 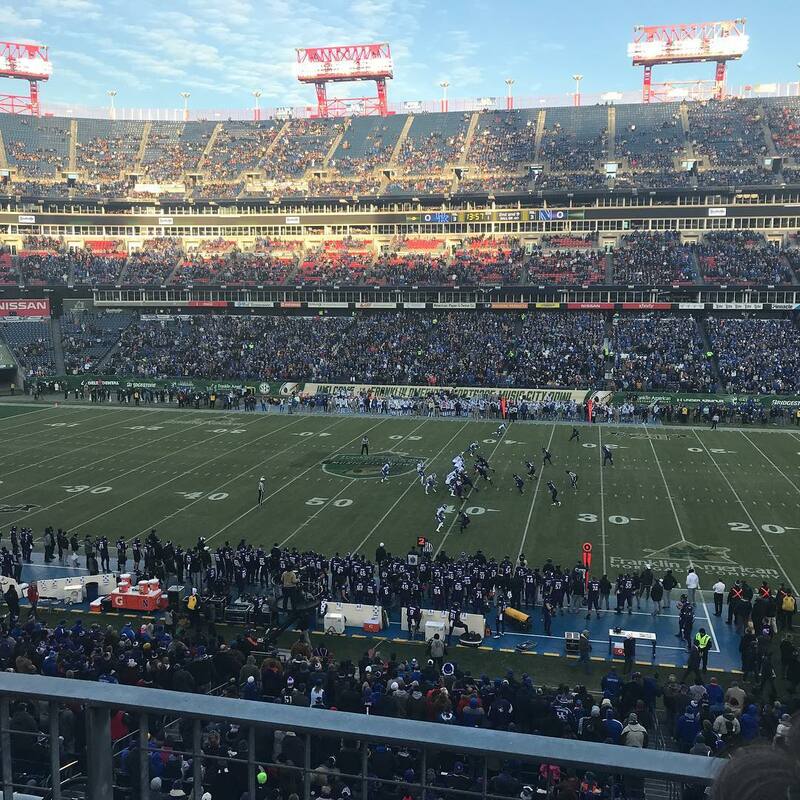 Even though neighboring Kentucky played in the Music City Bowl this year, smallest crowd since 2005. 48,000 announced. Nobody ever mentions Northwestern doesn’t travel well. Like they do Pitt. Did you watch that game? What was Fitzgerald thinking going for it on fourth and 1 from his own 40 up 7? Shades of GT versus Pitt in 2016 on Johnson’s decision to go for it on fourth and short from GT 35 in a tie game. Johnson’s decision still far more puzzling. I like Mathews on offense and Wirginis on defense. If for some reason WIrginis manages to land in the doghouse again I’ll take Weaver. How about Wicked Pickett and Mustang Ollie. I would not give up on PITT football just yet. This PITT football program is not the same as 20 years ago. Just stop with the pushing of rocks around and watch the games and enjoy.. I don’t think the biggest problem is with PITT football…. As a baseball fan of any team in the Major Leagues it’s the old we will get them next year chant. Hope it works out for you David. As I said this is my decision. I don’t enjoy the games much anymore honestly. And as I get older I have better things to do with my time. Frankly, watch a once a year overachieving game is no longer enough for me. I appreciate that works for you Ike but I have decided to draw the line in the sand. IMHO it is the same as 20 years ago. Lip service is lip service. 7 wins keeps me around…6 and under I am done. It’s the only thing I can do…to hold this administration accountable. It ain’t much, but it’s all I got. That said I wish you a happy new year. WE all need to step up dammit. Coaches. Players, BoT, Chancellor, AD, Fans, Alumni. If WE dont, we are MEDIOCRE. Cause the TRUTH is always somewhere in the middle. All you want to do is Run around Ollie, Run Ollie Run…. Watching the Pitt basketball game. Started well but faded by half, down 31-19. Obviously that is Paul Chryst’s doing. Ugh, PSU just won their bowl game. I hate Penn State. Who doesn’t Annie, who doesn’t. Happy New Years to you, your family and all of my hometown of Greensburg! Wisconsin’s D is pretty good with 10 senior starter’s on that defense. Miami’s QB continues to struggle. PittPT – thanks for your well written contributing article to end 2017. The key part of your question to me is “who do I expect to step up and become a significant factor for the Panthers in 2018 (from the current roster)”. Who do I EXPECT to step up? On the offensive side I narrowed my choices to two – both 4* recruits who are still young but should significantly contribute at some point in their career at Pitt. WR Ruben Flowers and RB AJ Davis. Both are at skill positions and neither position had significant contributors in 2017. Since I can only choose (1), I go with AJ Davis as the next great Pitt RB. On the defensive side I again came down to two choices – both 4* recruits who should be ready to contribute. OLB Anthony McKee (4* ESPN) and DE Kaezon Pugh. Since the LB’s have been so unimpressive for the past six years, I’ll choose McKee and expect that this RS JR shakes the injury bug and becomes the speedy LB he was recruited to be out of Columbus, OH. H2P and have a safe and fun New Year’s Eve!